✔ Enjoy a one or two night stay in London. 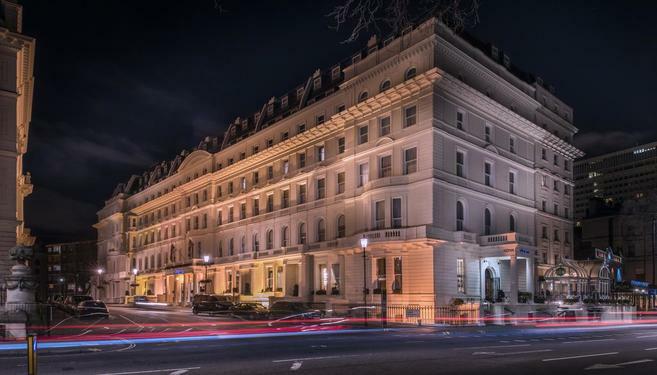 ✔ Stay in a stylish London hotel or upgrade to a 4* luxury at one. ✔ Includes best available seats to Wicked. ✔ Tuck into a tasty full breakfast at your hotel in the morning. ✔ Prepare to be bespelled with this ultimate London experience! For a family booking or more than 2 persons, enquire by clicking here. Valid for hotel stays until 30th December 2019. Valid for evening shows Monday - Friday and matinee's Wednesday & Saturday. Must book by 30th November 2019. Simply choose your option and click Buy Now to purchase your experience. You'll receive your experience code by email. You’re off to see the witches – the wonderful witches of Oz! Visit London, stay the night and get best available tickets to what is a firm West End favourite: Wicked. Drop your bags and relax in your Central London hotel. Fancy three or four-star? It’s up to you. Either way, we’ve got you covered. We’ve got a selection of great London hotels who provide relaxing twin/double rooms, wi-fi and breakfast is included the next morning too. Your day belongs to you. With the city at your feet, you have so much choice. But don’t forget your theatre experience awaits you. You can choose from Band A or Band B for the best available seats in those sections at the Apollo Victoria Theatre for the hit musical Wicked. So, what’s this Wicked all about? It looks familiar, but tells a different side of a popular story. We knew all about Dorothy in Oz, but what about the Wicked Witch of the West? This musical highlights the parallel world first created by Gregory Maguire in the 1995 work 'Wicked: The Life and Times of the Wicked Witch of the West’, an alternative side to the more known story told in the novel of 1900 – The Wonderful Wizard of Oz – by L. Frank Baum. Wicked has won numerous awards and is now the 8th longest running musical in London’s West End. The musical has original and enthralling music by Stephen Schwartz, an Academy Award winner, and has an unforgettable cast with whimsical special effects and dazzling costume. It’s a musical for everyone to enjoy. ★★★★★ A TRULY MAGICAL NIGHT FULL OF IMAGINATION AND EMOTION THAT IS NOT TO BE MISSED - WhatsOnStage. ★★★★★ BLOCKBUSTER ENTERTAINMENT, SOPHISTICATED COMEDY AND THOUGHT PROVOKING DRAMA - The Sunday Telegraph.